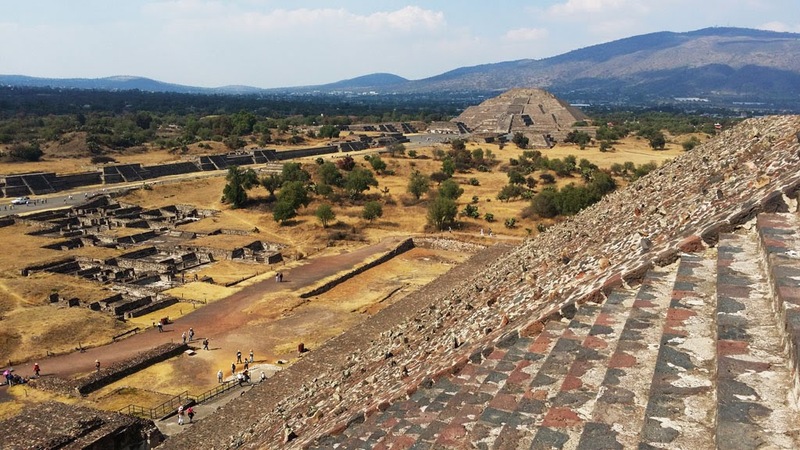 I was already figuratively kicking myself in the head for not bringing a bottle of water when I started climbing the steps of the Aztec pyramid that loomed in front of me. It was already high noon, the sun beating down behind me, with the humidity adding clamminess to the heat. Still I trudge on, not wanting to miss my first chance to climb up the magnificent monument before me. 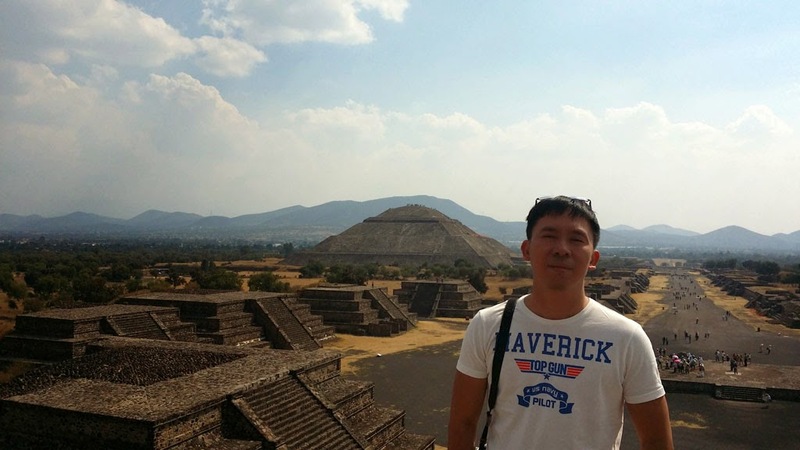 That monument was the Pyramid of the Moon, the first of the great pyramids that we visited in Teotihuacan, Mexico. I was in a group that traveled from Mexico City to Teotihuacan in a bus, on my second day in Mexico. 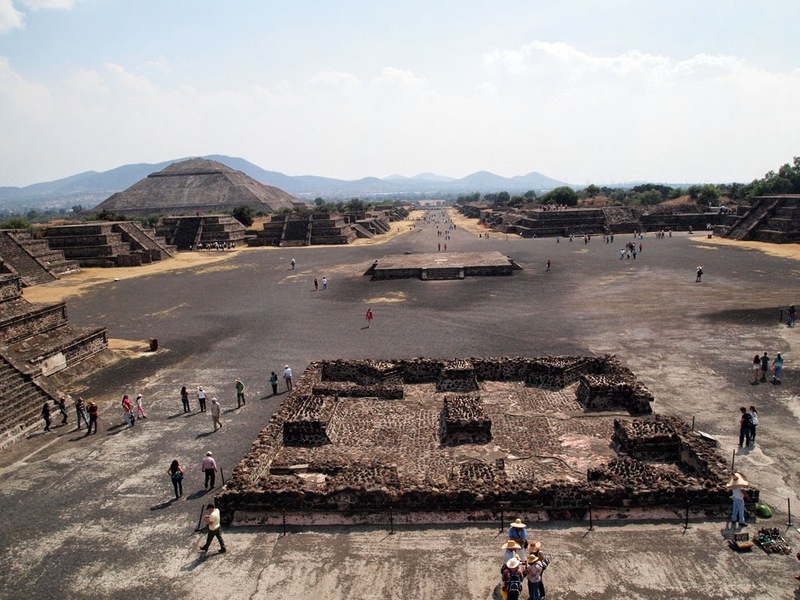 We entered the complex through a small building from which the guide told us stories about the Aztecs and how Teotihuacan was established around 100 AD and how it grew into one of the greatest cities in Mesoamerica. As we weaved through the pathways and corridors of the stone building, we were able to see up close the material and style that the Aztecs used to construct their buildings. From the building we entered a small courtyard, and at the distance, I saw the Pyramid of the Moon for the first time. 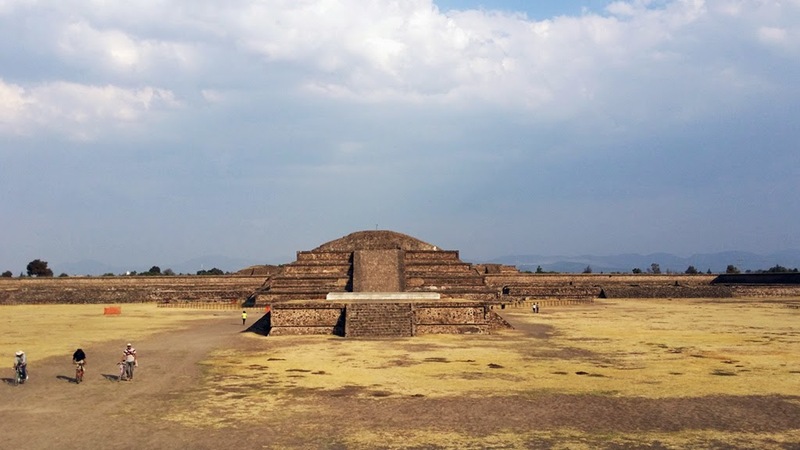 Beyond it, separated by a two-mile long road called the Avenue of the Dead, is its larger twin, the Pyramid of the Sun. They were larger than I imagined them to be. Constructed in talud-tablero (slope-and-panel) style, the pyramids were built starting about 150 BC. The shape is unlike that of an Egyptian pyramid that I've seen in pictures. Instead of a regular four-sided polyhedron, Aztec pyramids have step-like appearance due to the slope-and-panel construction, and the top is not pointed but lopped off to accommodate a platform for ceremonial purposes. For the Pyramid of the Moon, rituals for the Great Goddess of Teotihuacan were conducted there. 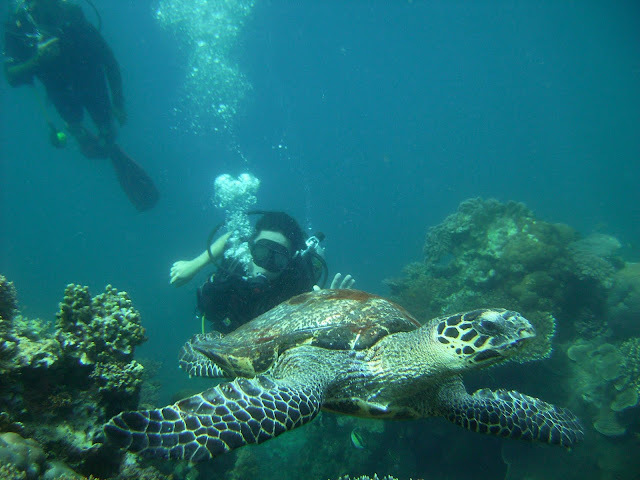 I detached myself from the group so I can explore the complex better, but I teamed up with the Brazilian girl who was my seatmate in the bus. We didn't go up the pyramid right away; we first explored the platforms that surrounded the small plaza in front of the pyramid, called Plaza of the Moon. These ceremonial platforms s are also constructed using talud-tablero style so they look like miniature pyramids. 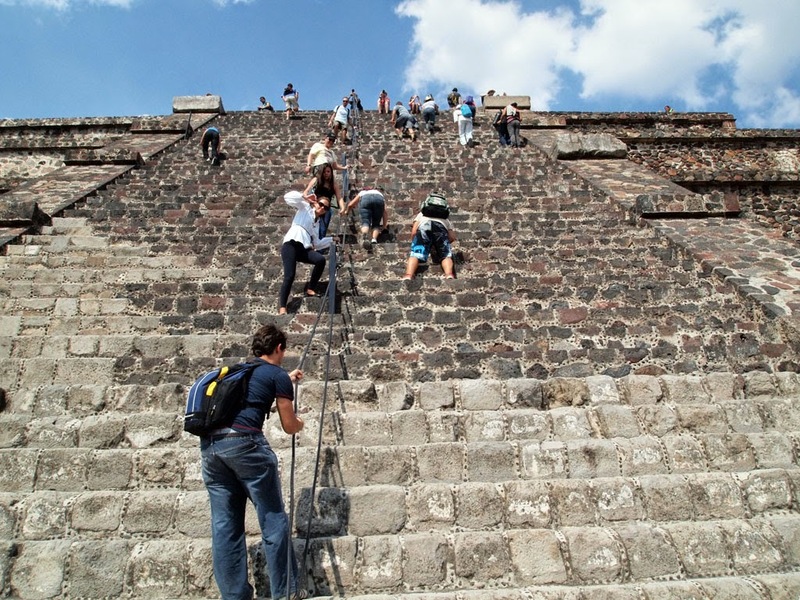 Climbing the 141-foot high Pyramid of the Moon is not exactly a walk in the park, but it wasn't too difficult either.The sloping stairs at the middle of the structure made it bearable, enjoyable even if it weren't for the hot sun blazing above us. We started slowly though, as my Brazilian companion has vertigo, but she was just as determined as I to go to the top of the pyramid. We sometimes stop to catch our breath and see the surrounding vista, admiring the incredible architecture wrought by an ancient culture that did not have the benefit of a single jackhammer. 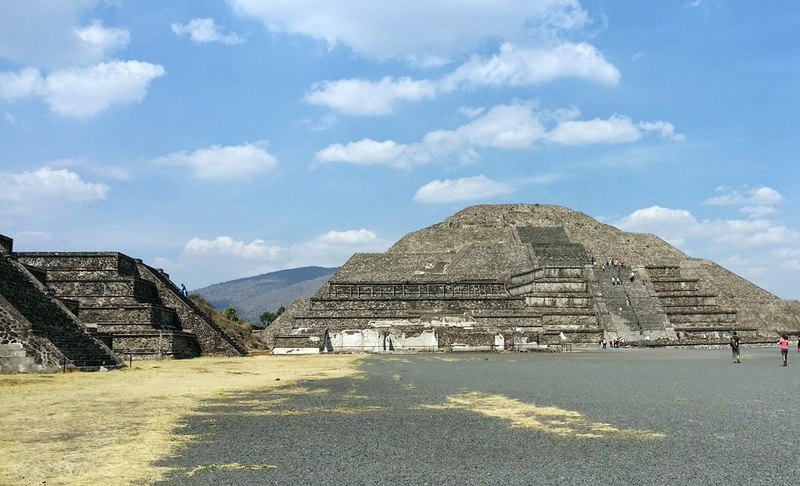 I got to fully appreciate the grandness of the complex once I reached the summit of the pyramid.From there I can see the major features as if I was looking at a scale model: the pyramid of the Moon in the north, with a plaza and the ceremonial platforms in front of it. Directly to the south looms the larger Pyramid of the Sun. Beyond it is another complex called the Citadel, which hosts the ruins of the Feathered Serpent Pyramid. 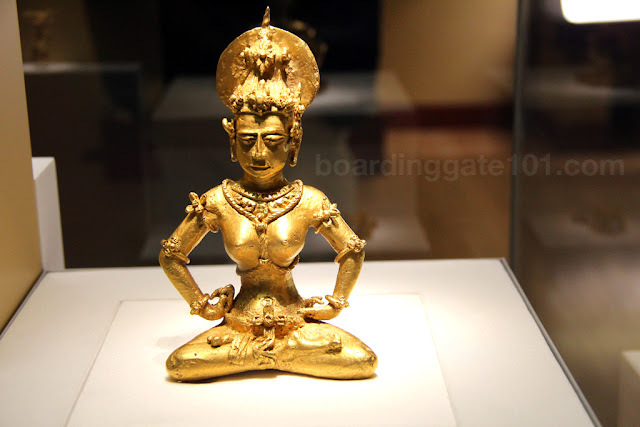 The placement of the pyramids suggests a bilateral symmetry, and they were exactly aligned 15.5 degrees east of north - where the sun rises during the summer. Cleaving the complex in half is the Avenue of the Dead. We stayed on top of the pyramid for a bit to observe and catch our breaths. We started our descent after a short while, reaching the plaza and the avenue in less than half an hour. Me and the Brazilian girl both agreed to explore the Pyramid of the Sun too, which is about 2 miles away. Along the avenue we can see several more buildings, including the court of Columnas, the Palace of the Jaguars, and the Palace of the Quetzalpapalotl. There were several ambulant vendors about but they were only selling souvenirs, no water. The Brazilian girl offered me a sip from her bottle, but I initially declined, suffering silently for my parched lips and sweaty hot sunburned skin. 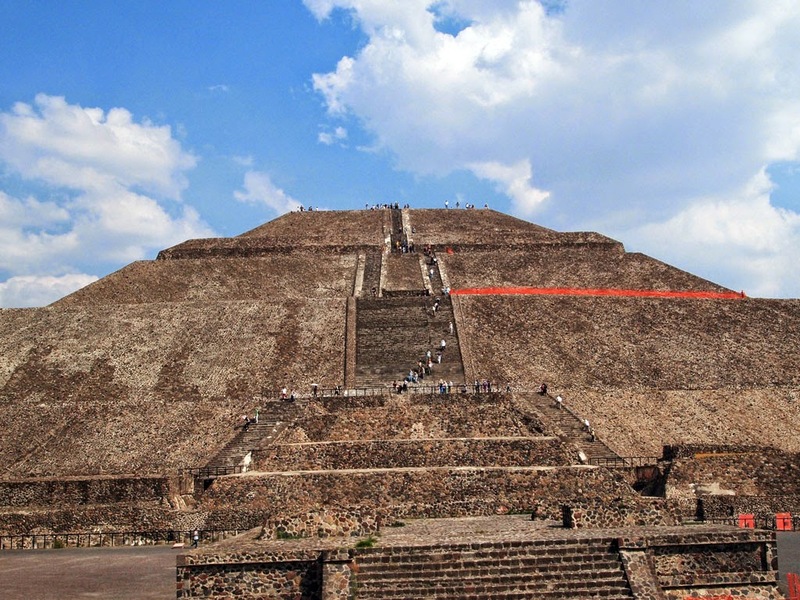 The Pyramid of the Sun (top photo) was larger and taller than its sister. At 246 feet high and 738 feet wide, the pyramid was the third largest in the world. It took us a while to get to the top. The incline is steeper, and the steps greater in number. I succumbed to my thirst and finally asked for a drink of water from my companion, as there were instances that I thought I might pass out due to the heat. 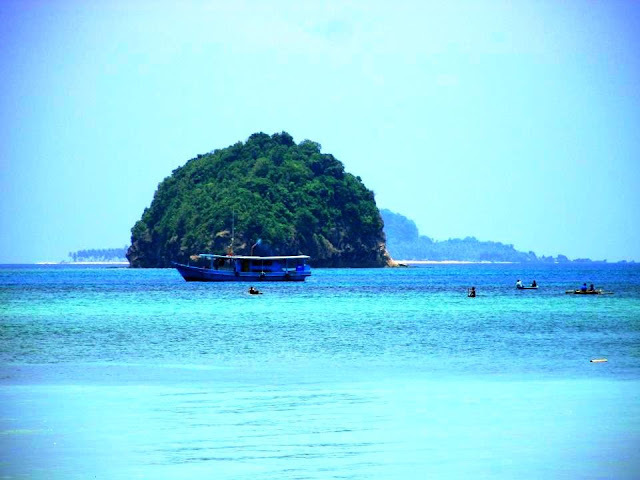 As we did previously, we stopped several times during the climb, to rest and to check the surrounding marvel around us. People below looked like tiny ants when we arrived on top. The air was cooler at the top, which gave a slight relief for me. We stayed for several minutes there, taking photos and making small talk while watching other people go about. 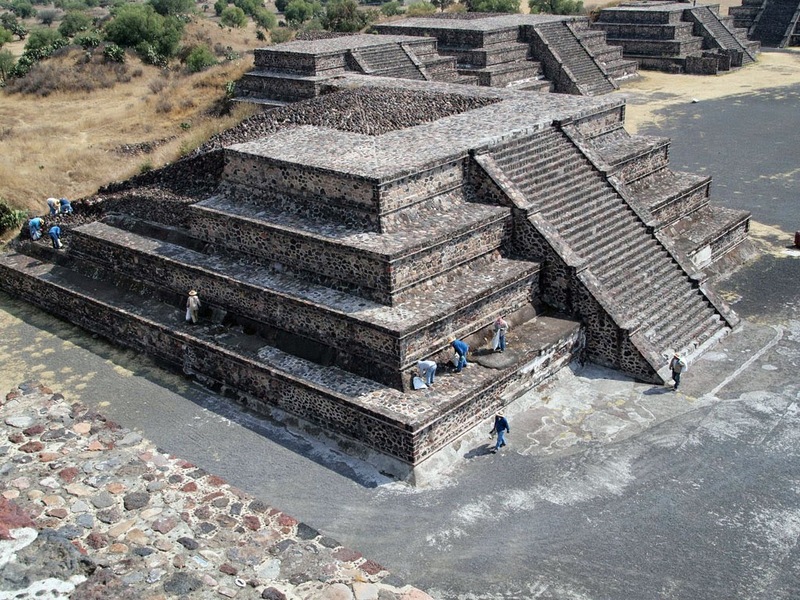 I kept imaging how the Aztecs would look up to the pyramids with awe, just as the visitors did at that moment, and the generations that will come to visit the complex. I imagine the priests, donned in feathered cloaks, doing their business at the top of the platform, measuring and counting the days and the stars, divining the wishes of the gods, preparing the next warrior to be sacrificed to appease them. We went back to the bus as soon as we got down from the pyramid. Fortunately there were shops near the parking lot selling refreshments, and I got two ice-cold bottles of water to quench my thirst. As soon as the group assembled we went to a restaurant to get a very late lunch. After lunch we went back to the complex again, but this time we went through a different gate. Our last destination was the Citadel, located at the other end of the Avenue of the Dead. The Citadel was thought to be a fort by the Spaniards, but it actually was another temple complex. The pyramid on it is smaller than both Sun and Moon pyramids. Called the Temple of the Feathered Serpent, it was dedicated to the god Quetzacoatl. There were ongoing archaeological excavations when we came, but we were allowed to climb up to the top. Not everyone did though, and after spending a few minutes at the top, we went back to the bus for the trip back to Mexico City. 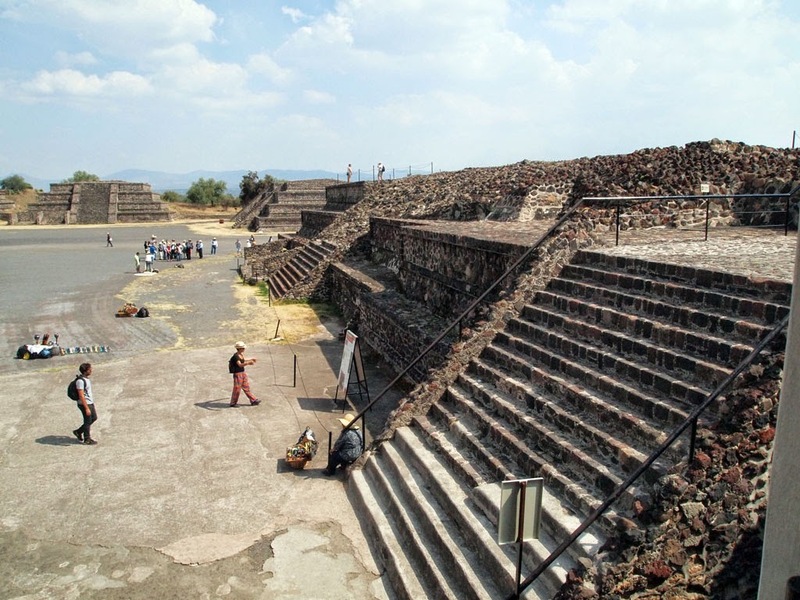 Teotihuacan is located around 50 kilometers from Mexico City. I got here through a tour bus, which I signed up for while I am in the hostel. It cost around $40 for the tour, which includes a trip to the Shrine of Our Lady of Guadalupe and Tlatelolco.